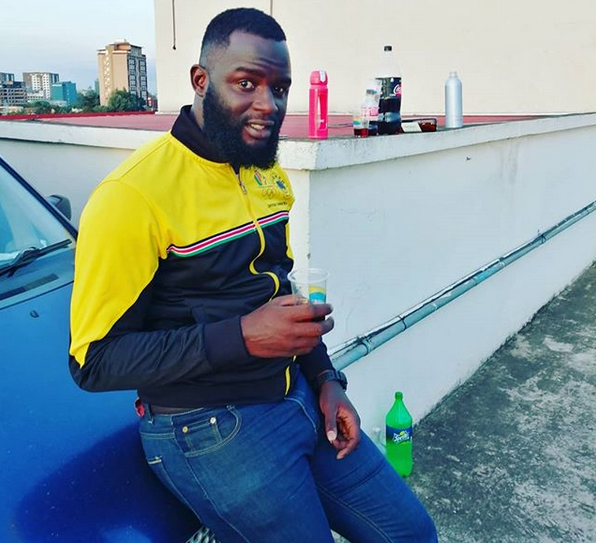 James Oduor commonly known to many as James Odu Cobra was a sports journalist, a marketer and a footballer who hailed from kariokor. 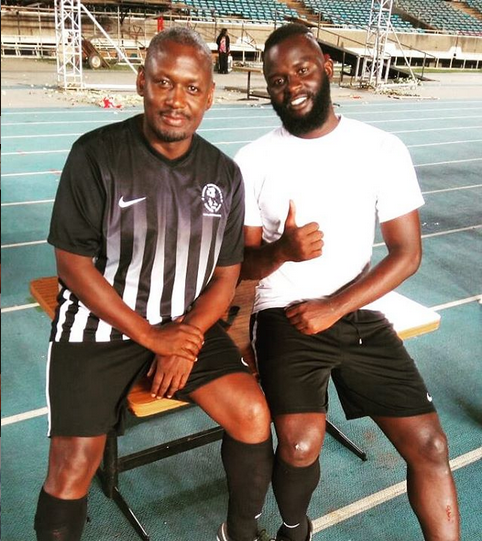 His love for sports was not only reporting whatever was going on in the field but also being part of a team playing in the midfield. 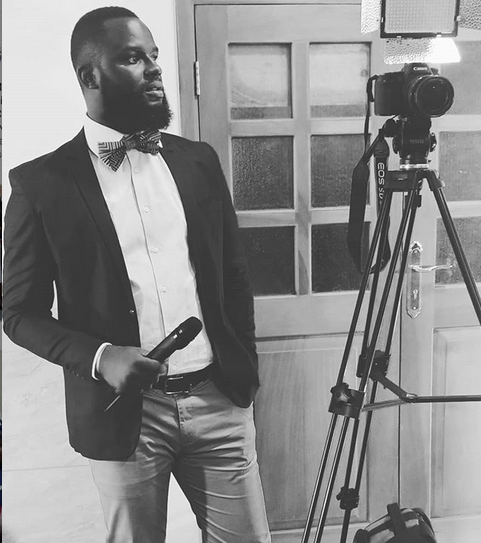 He had a YouTube channel by the name Wadau Tv and through the channel, he could report live when a football match was going on. James was working with the South Korean Electronic Company LG that is situated at the Dusit hotel. There has been a head count at LG offices and unfortunately, Odu has been confirmed dead. 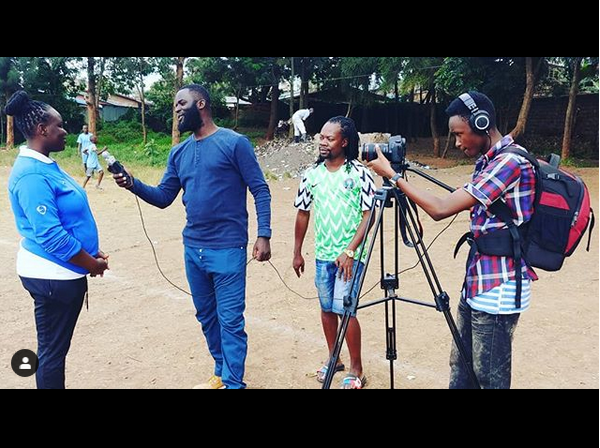 His family has already been informed,” said Sports Journalists Association of Kenya (SJAK) vice chairman James Magayi. The Dusit attack occurred on Tuesday at around 3:00pm and all the reported Terrorists were confirmed dead by the Inspector General, Joseph Boinnet. 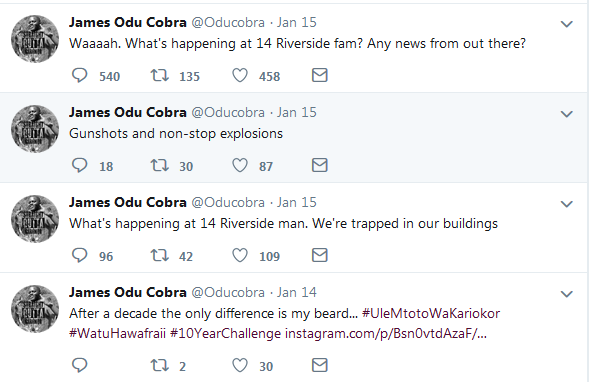 While the attack was going on in the premises, the young energetic sports journalist tweeted enquiring on what was going on outside the building because he was trapped inside the building. Hear Ye Hear Ye!!!! !gamers Everywhere..